I first began learning Tai Chi in about 1984, studying with Hawkins Cheung (classmate of the amazing Bruce Lee. His “core art” is Wing Chun, but he took private lessons with the son of the originator) and have practiced and taught it ever since. Teaching at SF and writing workshops, I only had 2-3 hours MAX to try to convey the value of this beautiful art. Considering that people can generally only absorb about one move per hour, it usually takes a YEAR to learn the form. And the form isn’t even the most valuable part of the art! Arrgh! So…I began to “cheat”. Find ways to give more value in less time. And a central question was: what are the core values of Tai Chi? Why is it the most popular movement and meditation system in the world? It can be learned by anyone, at any skill or age level. It can be used for health, meditation, fitness, relaxation, enhancing coordination, flexibility, balance, and much more. It requires no equipment, little space, and small amounts of time. It is a life-time discipline. From 9 to 109, it has something to offer! How in the world, though, could I convey (at least) a year’s worth of training in a few hours? Was it even possible? For fifty years, I’ve studied disciplines such as martial arts, yoga, NLP, hypnosis, Pancultural Shamanism, and more. The almost “magical” secrets that exist in the world, hidden within swaths of cultural mythology, are mind-boggling. The challenge was finding a way to “deconstruct” everything in the Tai Chi universe and re-assemble it to provide value as fast as possible. And over the years, have heard back from students that even a few sessions, spread out over years, have changed their lives for the better. Why? Because my approach, which I call “Firedance,” connects body, mind, spirit and emotions all at the same time. We are creatures who live in all of these domains, and by aligning the inner and outer worlds align, and using techniques and approaches pulled from a variety of disciplines, it is possible to accomplish more…much more…than traditional teaching allows. Countless students have said to me: This was terrific! Do you have a school? Where can I learn more? Well…anyone loves hearing compliments like that, but I’m fully involved in my writing career and family, and can’t afford the time and energy to maintain a brick-and-mortar facility. I CAN teach some of these things online, but the most basic teachings are sort of like “tuning forks” vibrating in tune with each other–the person who “has it” has to actually be there, able to make subtle corrections to the way you breathe and move. It’s a lot like a fire passing from one torch to another. ONE THOUSAND AWAKE, AWARE, ADULT HUMAN BEINGS. Together, I honestly believe we change the world for the better. But how? It occurred to me that what IS possible is to teach one-day seminars. I could fly into a city, take one day and cram it FULL of life-changing value. I know I can do that. And THAT could be the foundation of a body-mind workshop unlike anything ever presented. But I need a test group, first. So…On October 3rd, I’m going to do a smaller workshop, lasting 4-5 hours, from 10 am to 3pm in the San Fernando Valley. I will work with a group of 20-30 people, and in that period I’m going give them a program that can change their lives in just 100 Days. In the process we will learn, together, what is the “difference that makes the difference”, the “critical path” to awakening from your dream…or nightmare…of low energy, crushed hopes, poor health, negative emotions and non-existent focus. The purpose of the workshop is nothing less than taking control of your life, from the root (body) up to your heart, and head. Body, mind and spirit, all working in unity. But if you start with the ROOT, the flowering can be sublime. 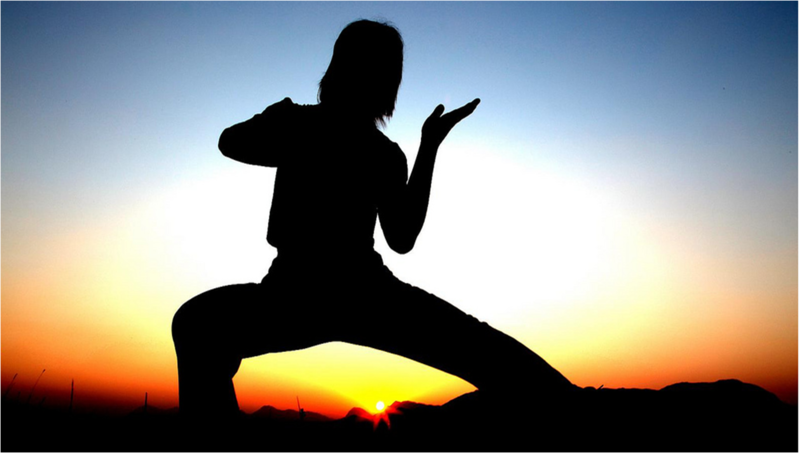 Wu Style Tai Chi Chuan will be the framework. NO EXPERIENCE NEEDED. ALL LEVELS WELCOME, of any style or no style at all. All fitness levels accommodated. If you are a beginner, you will probably remember 4-5 movements—but have an online resource to learn all 108 if you wish. But…it is not necessary, because you will learn an exercise that provides about 80% of the value of Tai Chi, can be learned in an hour, and performed in just minutes a day. We will use other movement arts to support this: The Five Tibetans, the Five Minute Miracle (Be Breathed), and others to create a simple complete fitness system anyone can perform, every day for the rest of your life. You will learn, create and refine your “Morning Ritual”–the 10-20 minutes of movement, affirmation, and visualization to align all goals and emotions for your day. POWERFUL BEYOND BELIEF! You will learn the “Ancient Child” meditation for emotional healing, focus, and connecting with your inner wisdom. We will use exercises and concepts from Tai Chi, including “Push Hands”, the two-person energy drill that teaches you to relax under pressure (and opens the door to self-defense applications, although those will not be a part of this workshop) and Chi Gung, the “energy system” that brings Tai Chi to life. You’ll learn the secret of shifting your emotions ON DEMAND. Crush (non-medical) depression forever! We’re going to change the way you breathe, move, think and feel–in four-five hours. If you will commit to performing your “morning ritual” for 10-20 minutes a day for just 100 days, YOU CAN CHANGE YOUR LIFE. Crush procrastination. Be the positive force for change in your world you were born to be. And here’s a hint: even your “failures” will be successes! THIRTY BUCKS for members of the LASFS fan community (I love you! ), Active service members, students and those with special needs. That’s it. Seriously. One time only, because you are helping me test and refine. You will be the first group. REGISTER NOW. WE ONLY HAVE ROOM FOR THIRTY PEOPLE AT THIS INAUGURAL WORKSHOP, AND THIS PRICE WILL NEVER BE REPEATED!